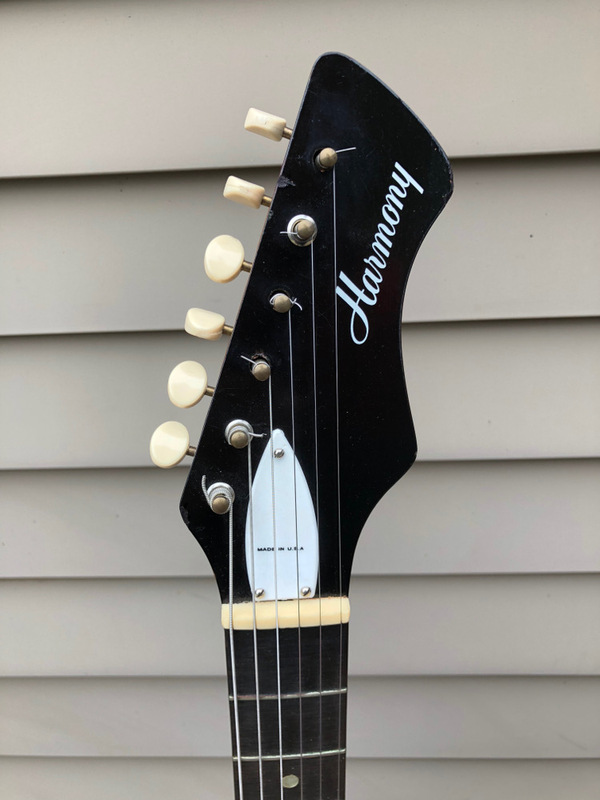 Harmony Bobkat H15 | HOLD | A very clean example of one of the best vintage guitar bargains today. 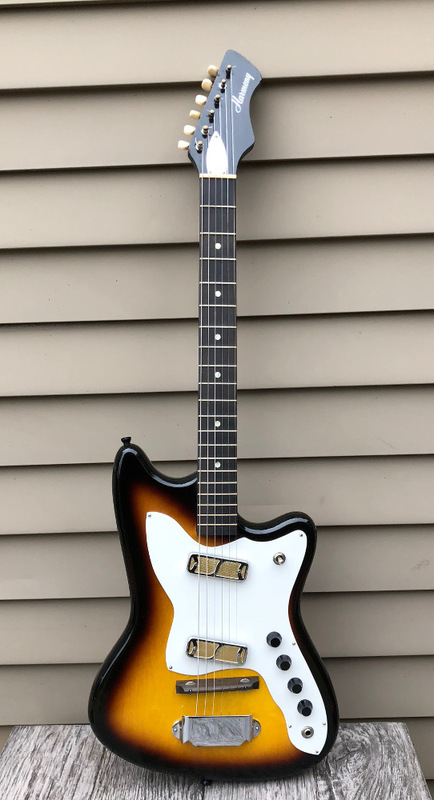 The Bobkat was one of Harmonys efforts to capture the market on budding guitarists influenced by rock and roll on the AM radio through the 60s. These are well built instruments and very light weight. This example is in excellent plus original condition, with the original soft case also in good condition. The scale length is 24 1/4”, and the neck measures 1 3/4” at the nut, a very playable guitar. Two DeArmond gold foil pickups, two tone/volume controls, and a selector switch. The neck features an adjustable truss rod, and the rosewood bridge is adjustable. The are no visible repairs, no visible play wear on the frets, the neck is straight and the action comfy. There are a few minor scratches on the back of the neck .. case wear? .. applied fret marking numbers along the side of the fingerboard (removable), and missing three tuner ferrules. Otherwise, the guitar sparkles. 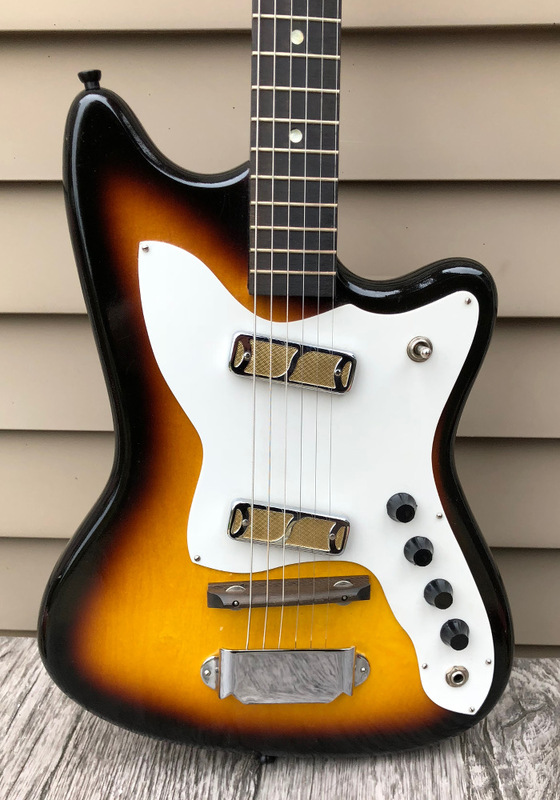 Snappy sunburst set off by a white guard .. great 60s vibe and a blast to play, especially slide!